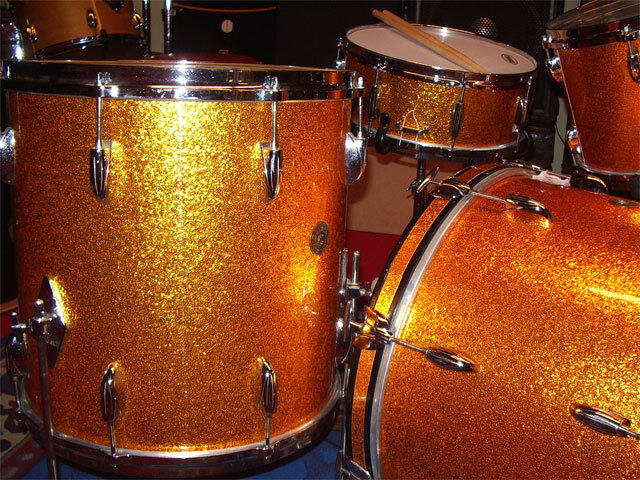 Gretsch drumset, refinished in Gold Sparkle. 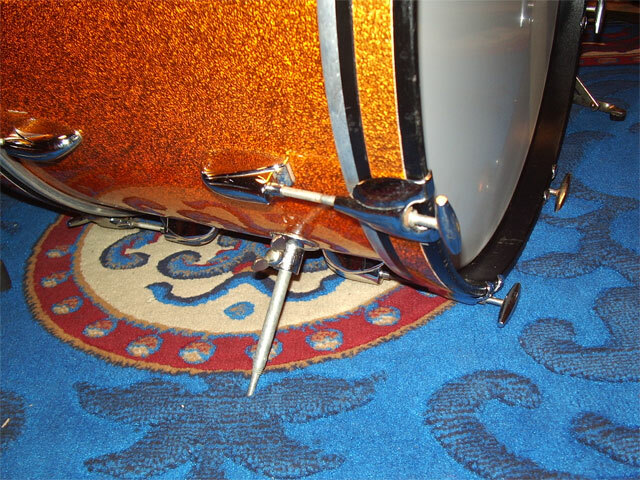 Bassdrum is 14 x 20 and includes the Gretsch factory spurs. The hardware for the tomholder has been removed and the holes have been plugged before the shell was refinished. The hoops are also original with new inlays. Round badge firmly attached. 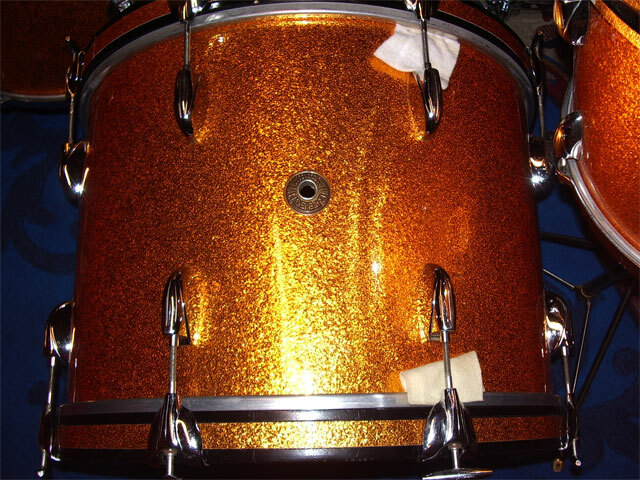 The small tom and floortom have the dempers removed and holes were plugged before refinishing. 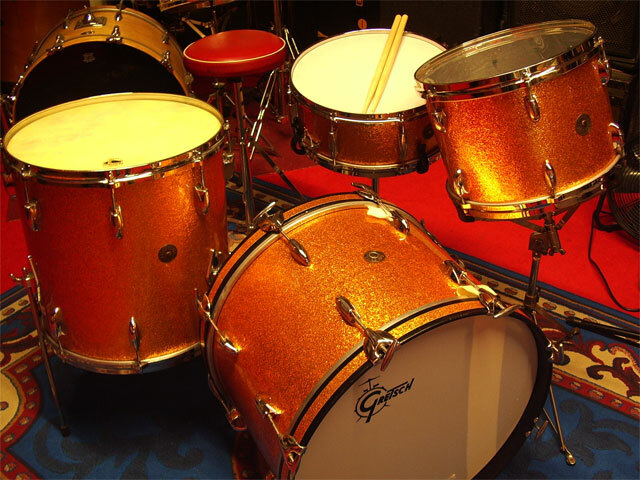 The small tom still has the orange paper glued in the inside. The floortom has the original legholders. Original diecast hoops. Round badge firmly attached. 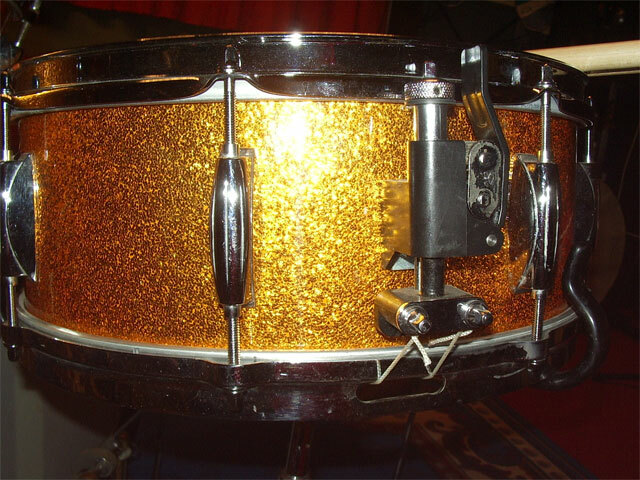 Snaredrum is a round badge 8 lug, 5,5 x 14. The muffler is removed and holes plugged before installing the new wrap. The strainer is from Nickleworks and works much better than the original. 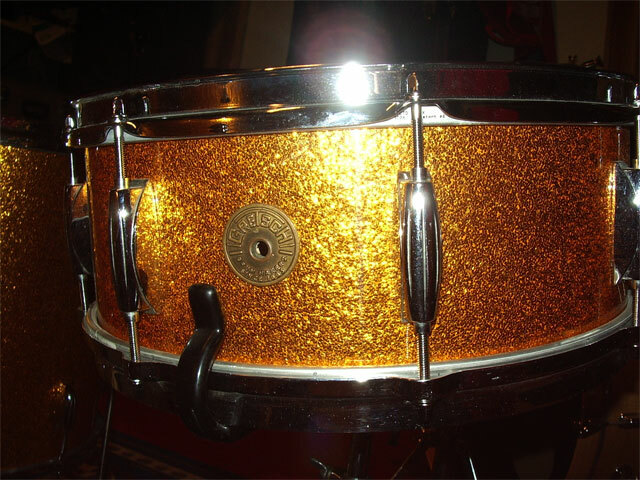 The top rim is a triple flanged hoop, bottom hoop is the original diecast hoop. 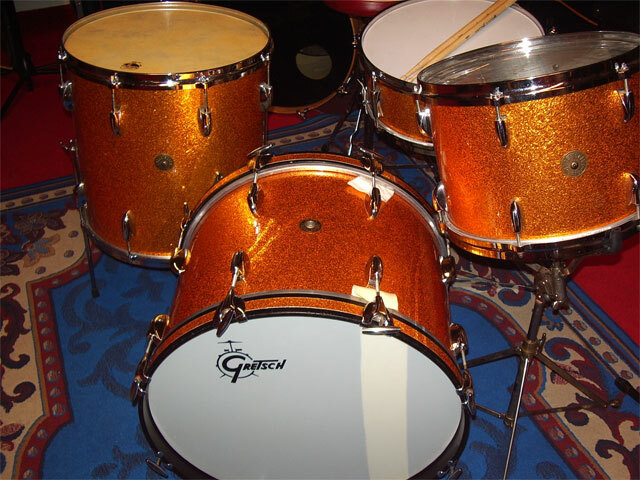 Overall the set looks very cool, with the 'virgin' bassdrum, the drums sound absolutely great, as in That Great Gretsch Sound. Chrome is very nice and the wrap is new.